For the English-speaking researcher, it can often be difficult to track down just where records are stored or if they even exist. The makers of the website for Heimatkreis Neustettin have simplified this process for genealogists. This is by far the best resource I’ve been able to find referencing the Standesamt in Neustettin. 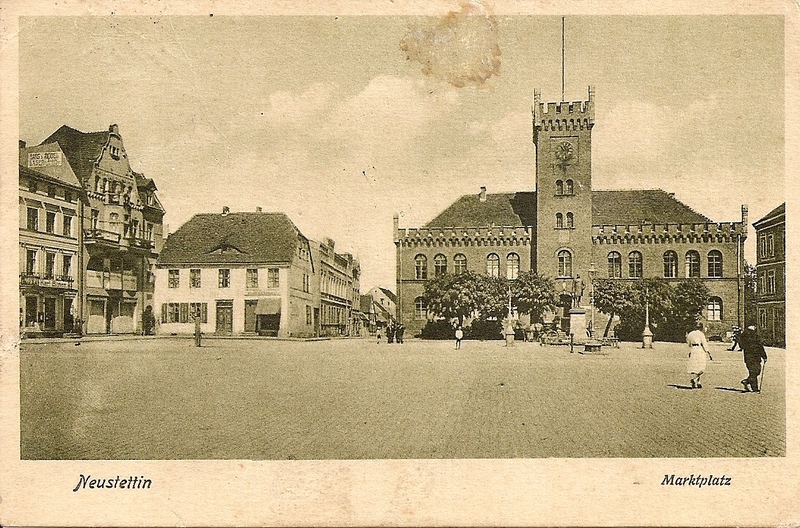 It breaks up where the documents can be found into three distinct columns: the archives in Köslin (Koszalin), the Standesamt I in Berlin (which lacks many records, but can be found on Ancestry.com), and the Rathaus in Neustettin (Szczecinek). The latter is of the most importance, as I have struggled in my own personal research to uncover finding aids for other Kreise listing the local registry for books that are under 100 years old. Here you will find a complete list of civil registry documents and addresses for whom to contact. You can also find a complete list of church books at their website. If you are unfamiliar with which parish or civil registry office a village belonged to, see the list of communities. You will notice certain shorthands on the Heimatkreis Neustettin. “G” stands for births, “T” for deaths, “H” for marriages, and “K” for confirmations. These terms align directly with the German words, Geburts (Taufen for church books), Heirats, Tote (Sterbe), and Konfirmanden.